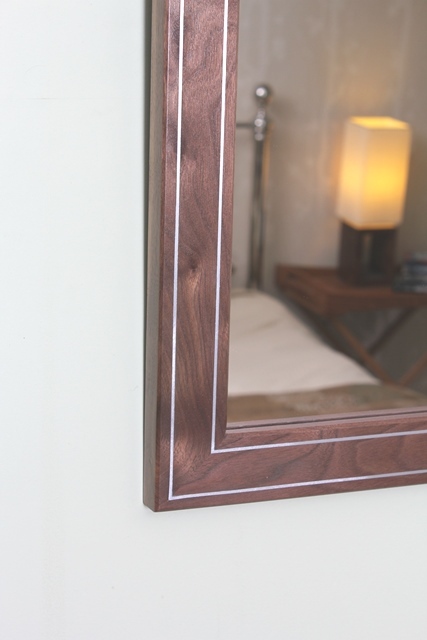 The right side of the tracks mirror has 2 lovely bands of inlaid nickel silver which catch the light and highlight the frame and it’s luxurious simplicity. A very high quality item at an attractive price. 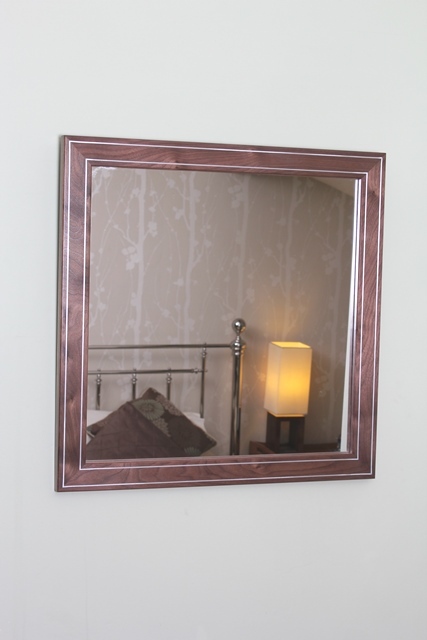 The mirror is available in 3 sizes – small, medium and large. Starting at £250 including “Fragile, 2 man, delivery” and packaging removal.